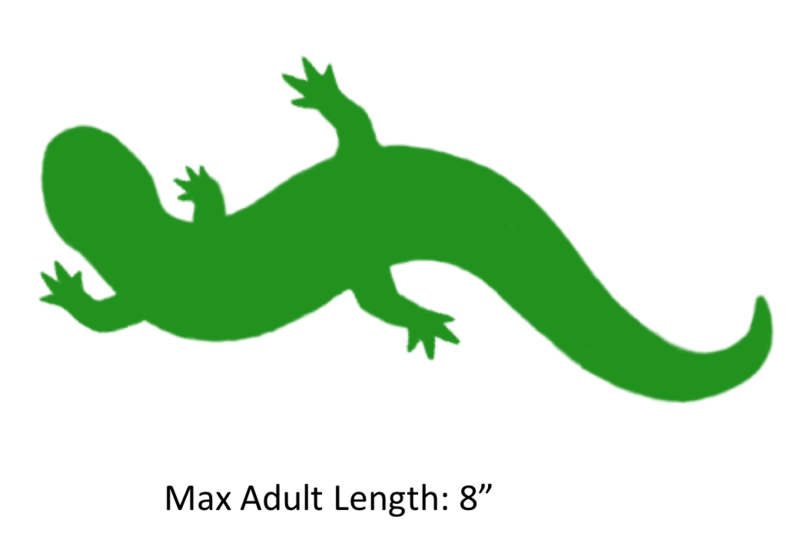 Description: The slimy salamander was formerly considered a single species but has since been divided into a complex of closely related species. Six of these species may be found in North Carolina but they are often indistinguishable in the field. 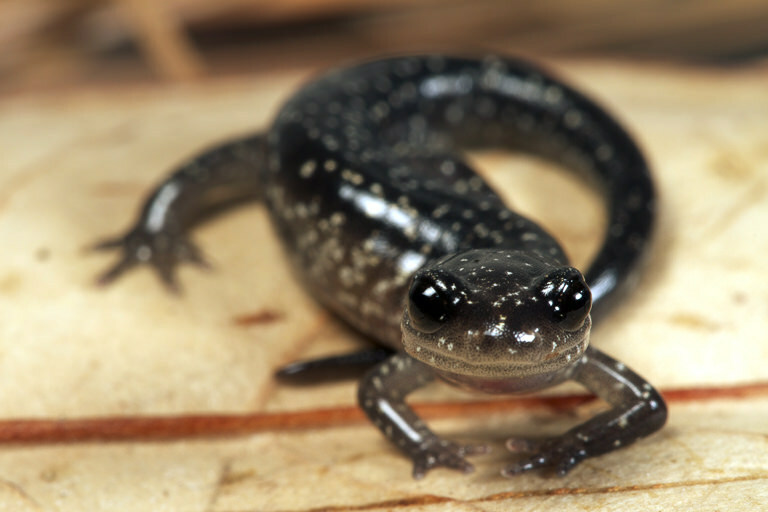 All slimy salamanders are dark grey to black, usually with white or brassy spots on the back and sides. The size, shape, and color of the spots may vary between species as well as between individuals. Slimy salamanders get their name from the extremely sticky skin secretions that they use to deter predators. Habitat/Range: Slimy salamanders are entirely terrestrial. 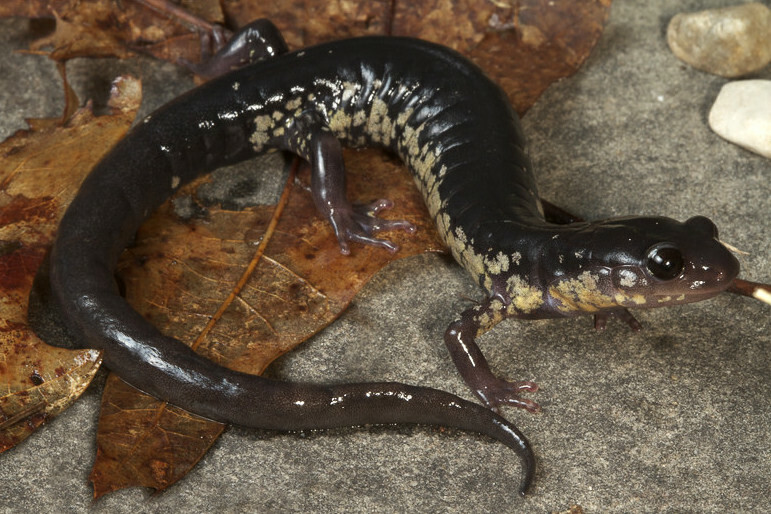 In North Carolina, these salamanders are most abundant in moist forest floor habitats in deciduous forests but may be found in pine forests, bottomland hardwood forests, and caves. Plethodon chlorobryonis is found in the coastal plain while P. cylindraceus is found throughout the piedmont and northern Blue Ridge Mountains. 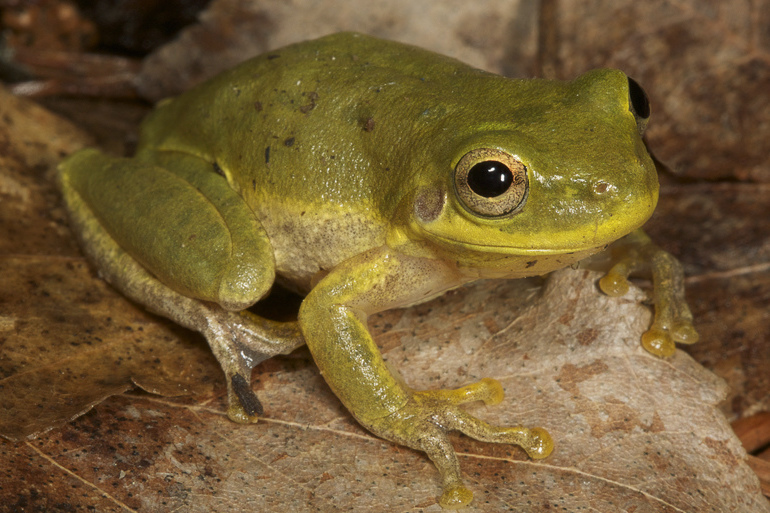 Plethodon aureolus, P. chattahoochee, P. glutinosus, and P. teyahalee are found only in extreme southwestern North Carolina. 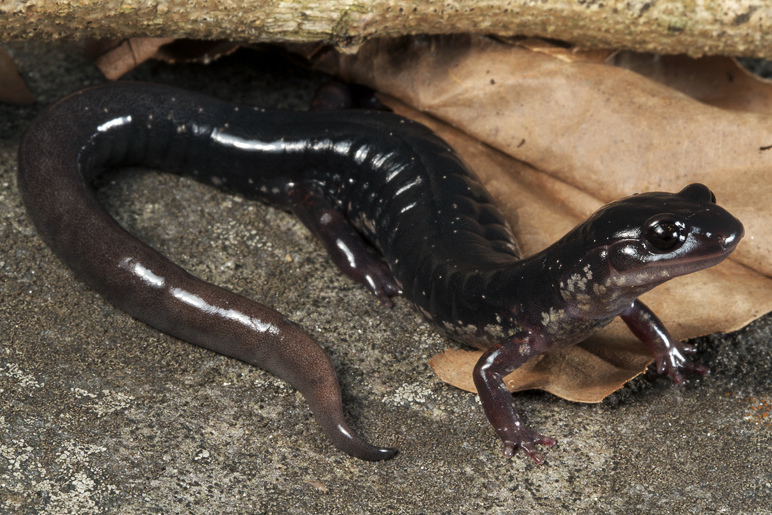 Diet: Slimy salamanders feed primarily at night and consume a wide variety of invertebrates. 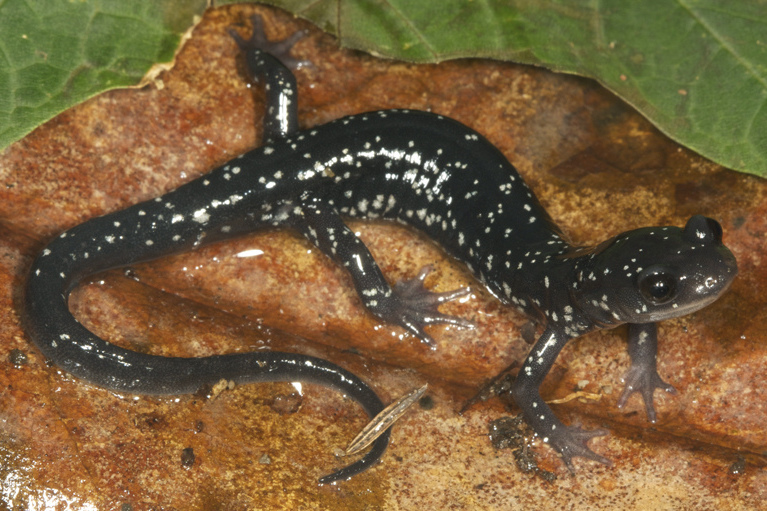 Slimy salamanders will occasionally consume smaller salamanders, including individuals of their own species. 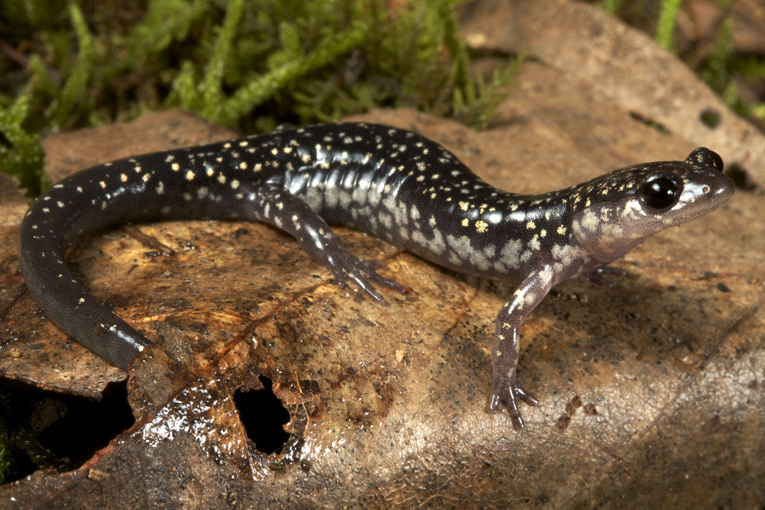 Reproduction: Slimy salamanders lay their eggs on land under logs or in underground cavities. The female then guards the eggs until hatching. 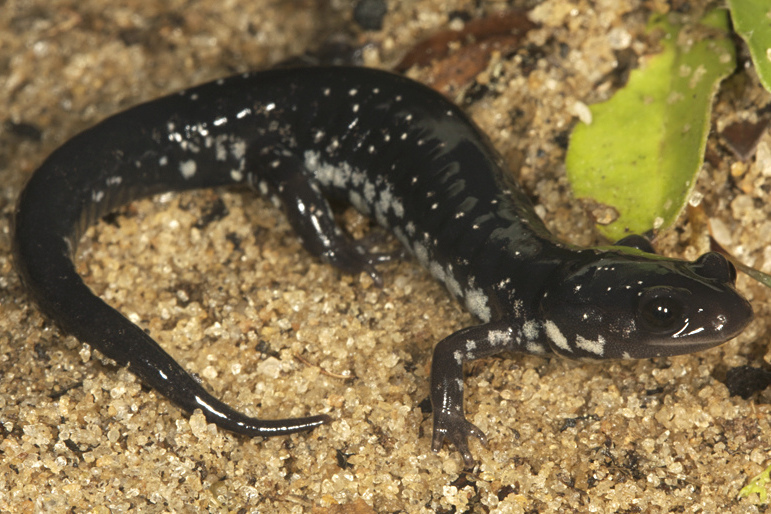 Slimy salamander hatchlings do not go through an aquatic larval stage. Instead, when young salamanders emerge from their eggs they look like miniature adults. Refer to the habitat/range section of the text for descriptions of the species' ranges.